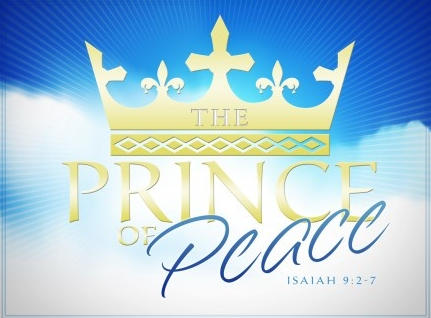 And He shall be called Prince of Peace. of peace there shall be no end. the coming of a King and a Kingdom. increase and so will the peace that defines it. The battle today rages over these very issues. the atmosphere of confident peace. And both must be continually increasing. in this world we will have trouble. from the world we live in. We are not to worry or be anxious. it can do a whole lot to hurt us. It wastes strength and causes exhaustion. it makes us irritable and negative. with thanksgiving, make your wants known to God. over your hearts and minds in Christ Jesus. of the reason Christ came. He came to incarnate the life of God. then His peace must mark my life. and any anxious thoughts to You. quieting all fear and filling me with peace. Peace is more elusive than we think. Author C. David Coates wrote an eye opening poem which, like a mirror, exposes us to truths we may not wish to see. Here is a slightly modified version of that poem. "Aren't humans amazing? They kill wildlife - birds, deer, all kinds of cats, coyotes, beavers, groundhogs, mice and foxes by the million in order to protect their domestic animals and their feed. Meanwhile, few people recognize the absurdity of humans, who kill so easily and violently, and then plead for 'Peace on Earth.'" I understand the animal cruelty/violence issue. And it takes people willing to make decisions based on wisdom and compassion on all sides. But I do not believe that peace is dependent on getting this right. Scripture says that, "He will keep in perfect peace he whose mind is fixed on Him." He is the keeper of the peace. We fix our minds on Him and He helps our minds become more like His. “Whose mind is stayed on thee.” Many of us do not find the blessing of peace because are distressed by sorrows,disappointment, failure or expectations. We get anxious in our circumstances. I am talking about peace that passes all understanding. Peace that is being kept by God, as we do our best to fix our minds on Him. I know there are issues out there bombarding us with the need for answers. And I want to diligently be seeking the Lord for His wisdom. I am socially responsible and look to affirm life where ever possible. But my peace is not dependent on anything but keeping my mind fixed on Him and doing what He commands me to do. He will keep me in perfect peace--it is His promise to us. Peace on earth will only come as become an accurate representation of the Prince of Peace here on earth.